Mr. Hochfelder is a traumatic injury trial lawyer who founded and maintained a dynamic plaintiff's personal injury law practice based in White Plains, New York prior to becoming counsel to Godosky & Gentile, P.C. He practices in all of the courts in the New York City metropolitan area as well as Westchester County and the entire Hudson Valley region. He began his career at the United States District Court in Manhattan as law clerk to a federal judge, after which he joined a large New York City corporate law firm and then became a local court judge for six years. Mr. Hochfelder is the founder and publisher of New York Injury Cases Blog the widely acclaimed research site analyzing and discussing the evaluation of damages in personal injury lawsuits. As a result, he has regularly been retained as an expert and consultant regarding the amount of damages that the New York courts will sustain on appeal in large damage cases. 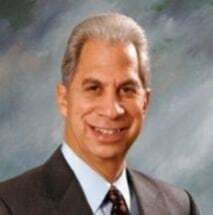 He also publishes "Damages - A Review of Recent Court Decisions," a regularly recurring column in Bill of Particulars, the premiere publication of New York State Trial Lawyers Association (NYSTLA) and he lectures for NYSTLA throughout the state on the topic of damages in personal injury, medical malpractice and wrongful death lawsuits. Additionally, Mr. Hochfelder trained and served for many years as an emergency medical technician (EMT) and has been consulted by and lectured for several ambulance corps (on a volunteer basis) on medico-legal issues affecting them such as how to avoid negligence lawsuits.